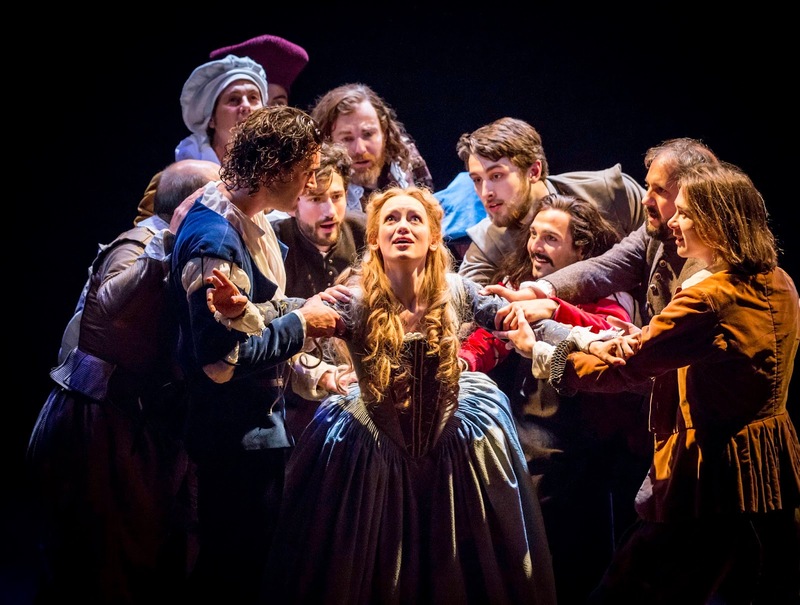 I can’t lie – I had rather low expectations when it came to the stage adaptation of Shakespeare in Love, not helped by rewatching the film recently and marvelling at how it managed to win 7 Academy Awards back in 1999. But I equally have to admit to being swept away by Declan Donellan’s production of Lee Hall’s adaptation which is set to open this week at the Noël Coward Theatre, it managing to find an identity of its own (after a relatively slow start) to try and recapture the hearts of audiences anew. 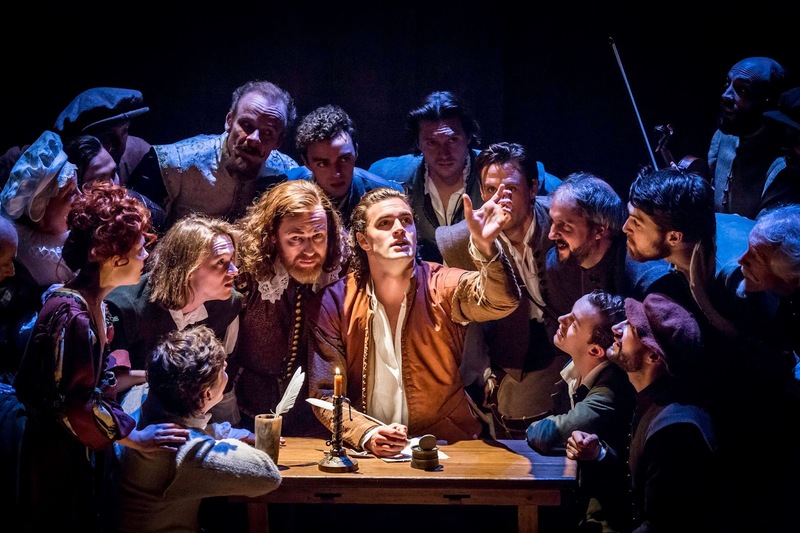 Tom Stoppard and Marc Norman’s original screenplay saw Shakespeare as a jobbing playwright, tussling for commissions with friendly rival Kit Marlowe and dealing with a particularly sticky case of writer’s block. 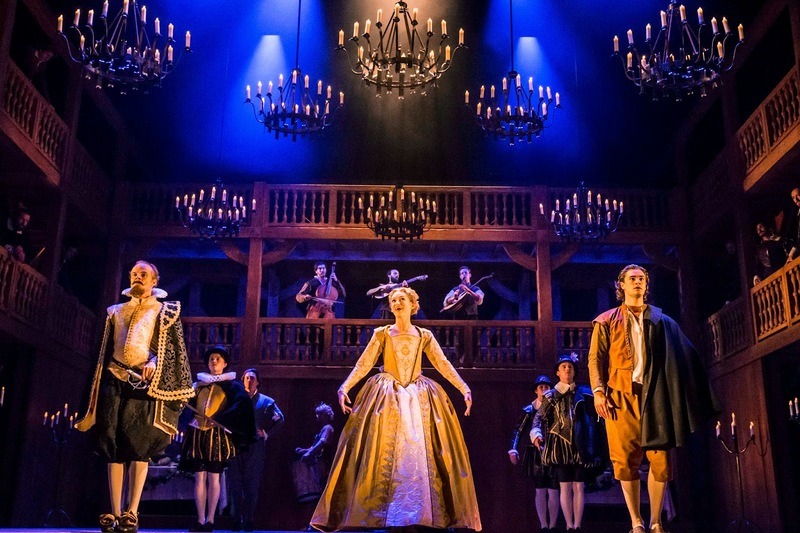 With his unhappily married wife and kids sequestered in Stratford-upon-Avon, he embarks on a forbidden affair with noblewoman Viola de Lesseps, who has her own battles to face in being denied the career on the stage that she craves and being married off to the obnoxious Wessex. Their romantic strife thus provides the creative spark for Will to write Romeo and Juliet. 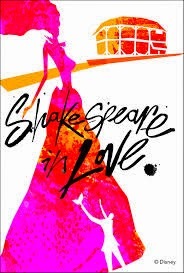 Where the film did work for me was in the overload of Shakespearean puns worked into the script, often wittily suggesting that the bard took inspiration from all around him; where it did not was with the central romance which lacked any real sense of passion for me. Funnily enough, the converse was pretty much true here. 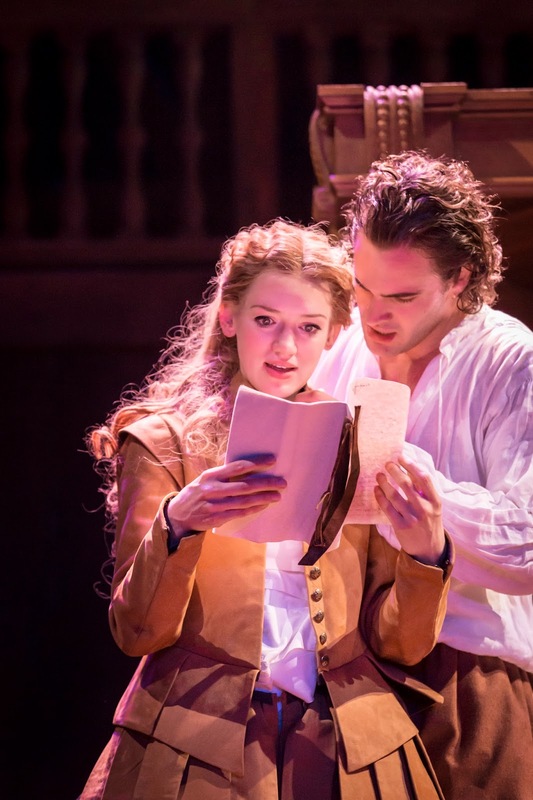 Tom Bateman’s freshly appealing Will and Lucy Briggs-Owen’s hugely characterful Viola have enormous chemistry and theirs is a romance to root for. Instead, the repeated gags of references to other Shakespeare plays prove to be something of a hindrance, occasionally interrupting the flow of the show –(the ‘out damned spot’ bit takes way too long of a set-up although the payoff is fun) – and often falling flat. Without them being cleverly worked in (like ‘tomorrow’ ‘and tomorrow’), they lose their impact, Will just declaring ‘oh brave new world’ as he schtups Viola doesn’t really mean anything at all. Equally, the delayed John Webster joke flew over the heads of the majority of this particular audience! Fortunately there’s much more to the production as well. Paddy Cunneen’s highly atmospheric music is sung and played live onstage, Nick Ormerod’s inventive design allows for both the intimate and the grand, and the brightness of the supporting cast – David Oakes’ twinkle-eyed Marlowe, Ferdy Roberts’ Fenniman, David Ganly’s Burbage and Paul Chahidi’s Henslowe just to name a few, give real life to the Elizabethan theatrical world. And this is where the show really works, a Noises Off-esque sequence that takes place backstage as a play goes on is really well put together, combining great humour and pathos, and the rivalries and relationships between the playwrights and theatre managers give rise to a wonderful sense of community, ending up as a love letter to the theatre as much to Shakespeare himself.